In case you haven’t noticed, La Mom has a little crush on George Clooney. Apparently his charm is vraiment international – French chanteuse Olivia Ruiz dedicated a whole song to him! Get your French fix delivered directly to your inbox every week when you subscribe in the top right-hand corner! I am totally with you on this little crush. Sigh. Sigh...That George. Agreed, he is beautiful in every language! Wait a minute! I you sure her husband isn't her Daddy? it's wrong that he's old enough to be my dad yet i think he's bloody gorgeous! Is there anybody who doesn't love this guy!? I haven't met them yet. 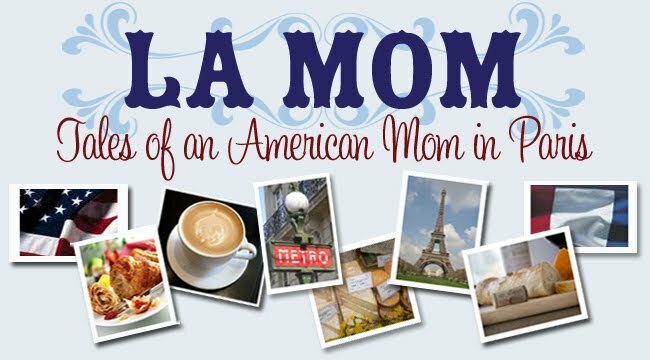 My sister is also an American Mom in Paris. I've just added you to my list of favs! A co-worker and I were talking about him two weeks ago. It was decided (between her and me) that there's just something about the way he looks (not his physical beauty, although that's helpful as well!) that says he'd most likely say right before, "Oh you're gonna like this." Yeah, it looks like it's her daddy, but he's her lov-ah unless there's an Electra thing going on here. The lyrics talk about Olivia's obsession with George being better than watching soccer on TV or drinking. And "daddy" talks jealously about George's handsome mug. Anyway, come visit Paris and you'll see that age doesn't make a difference here -- there's something for everyone! I think we're ALL RIGHT THERE WITH YOU on your feelings of Mr Clooney. He is incredibly hot and (at risk of sounding like my mother who talks about tv characters as if she knows them) he always acts like such a nice guy on interviews!! My friend Marcus was vising Amsterdam for business when unbeknownst to him they were filming Ocean 12. The cast stayed at The Pulitzer - so did Marcus. One afternoon Marcus got on the elevator and on the right side stood Brad Pitt - on his left stood George Clooney. Marcus nodded and played it cool saying "Hey", but when one floor later Julia Roberts stepped onto the elevator, Marcus exclaimed, "You've got to be kidding me!" To which George wrapped his arm around Marcus and looked straight into the elevator security camera and quipped, "You're on Candid Camera!" He wasn't on CC by the way, he was just the luckiest person in the world that day! Marcus' wife rues the fact that she was suppose to join him on this business trip but had to cancel at last minute! The voice, yes his voice make the difference!!! Ok, not only that, but the voice is out of this world! Ciao La Mom from an Italian Mom in Yorkshire! A.